Caladdi B&B is in its fourth year of existence, and since opening our doors in 2014, we’ve come a long way. We’ve built our B&B from a 4-room into a 9-room establishment; we’ve held our first weddings and team builds here; we’ve hosted concerts and pop-up markets. We are passionate about bringing people together and giving them a home-from-home experience. Take a virtual tour of Caladdi B&B below. 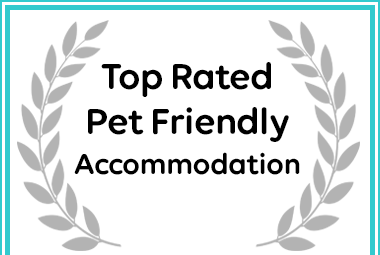 Thank you most sincerely to all our visitors who’ve booked through Booking.com – for rating us so highly. 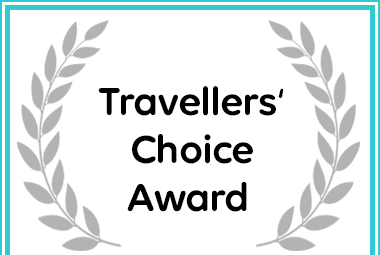 We’ve received numerous guest review awards over the years — all of which have given us a rating of 9.4 or higher (out of 10). 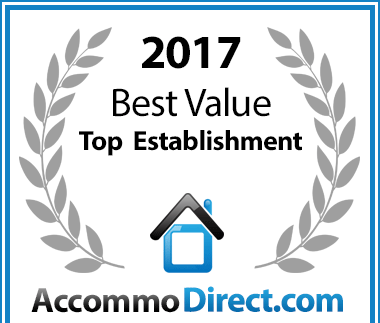 In January 2018, Caladdi B&B received its latest award from Booking.com – 9.4!. We’re also so grateful for a wonderful review by Portfolio. Read it here. 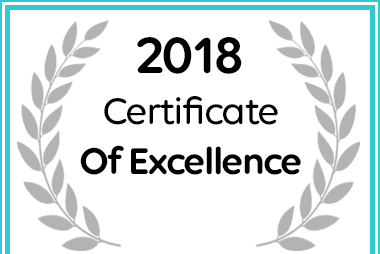 Thanks also to the Trip Advisor community for the excellent reviews which have led to us being awarded a certificate of excellence once again in 2017. We are a proud member of the Portfolio Collection. Here are a few more reasons why you shouldn’t hesitate to stay with us at Caladdi. We’re right on the Midlands Meander (R103) so there is no having to travel extensively to get from us to anywhere else, it’s all right on your doorstep including the inspiring Mandela Capture Site and Apartheid Museum. We’re also within a few kilometres of numerous popular wedding venues including Lythwood Lodge. Caladdi is also blessed to have an abundance of MTB/Trail running/horse riding trails right on our doorstep. We understand the needs of parents when staying away from home, and having young kids ourselves, realise the importance of a play area – with wide open spaces and play facilities. There is also a swimming pool on the property, but it’s fenced off to keep the little ones safe. We are positive your children will have loads to do! Our establishment is your establishment. We invite you to relax and chill, in a comfortable and easy environment. Relax with a book or newspaper on the patio or in the garden. Each room has a refreshment station and a hairdryer plus electric blankets for those chilly winter’s nights. View photos of our rooms here. We are able to accommodate early check-ins where possible. We just ask you to please advise us beforehand of your arrival time so that we can try to facilitate this. Similarly, should you need to check out later than 10.30am, we will arrange this subject to availability. Having both come from the corporate service industry, we like to believe that we go the extra mile for our guests in a homely, relaxed atmosphere. Additional services we offer include: Tour Desk, Private Check-in/Check-out, Shared Lounge/TV Area, Daily Housekeeping, Fax/Photocopying, dinner on request (24 hours notice required).